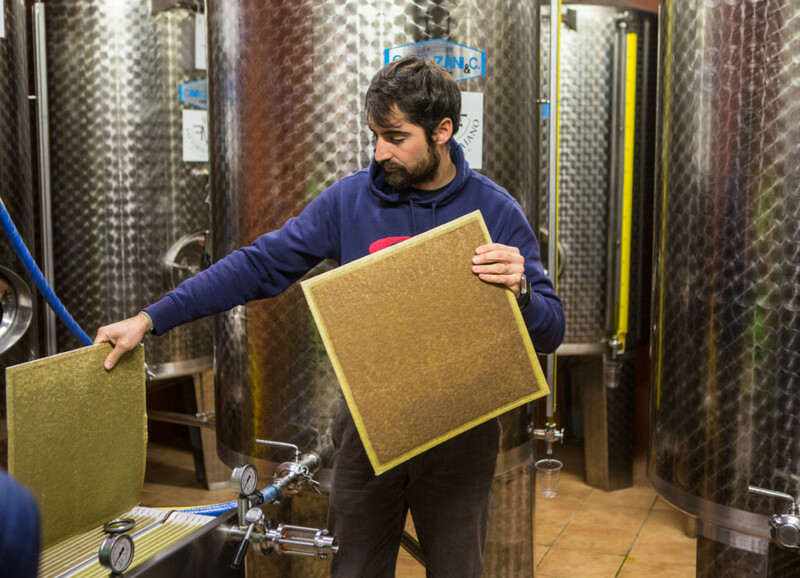 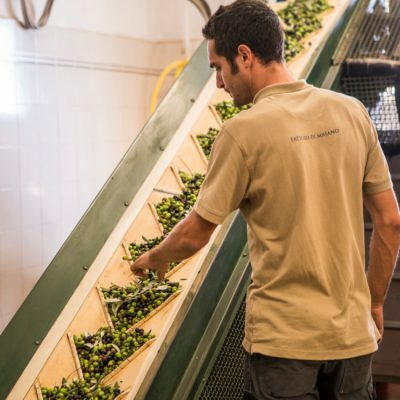 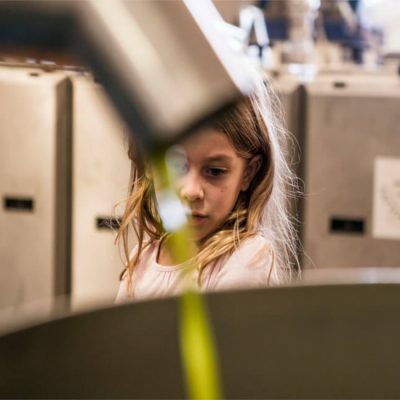 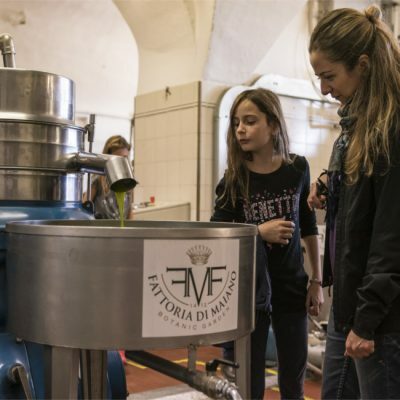 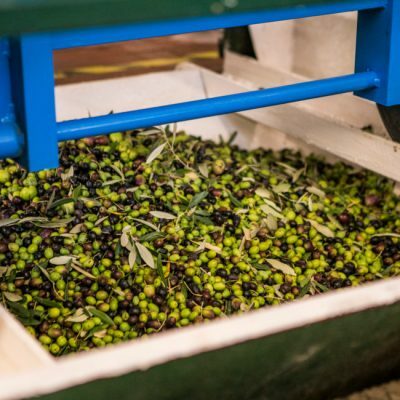 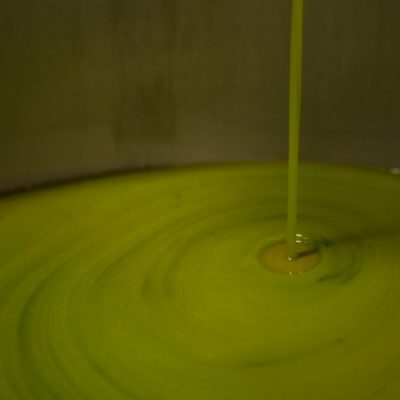 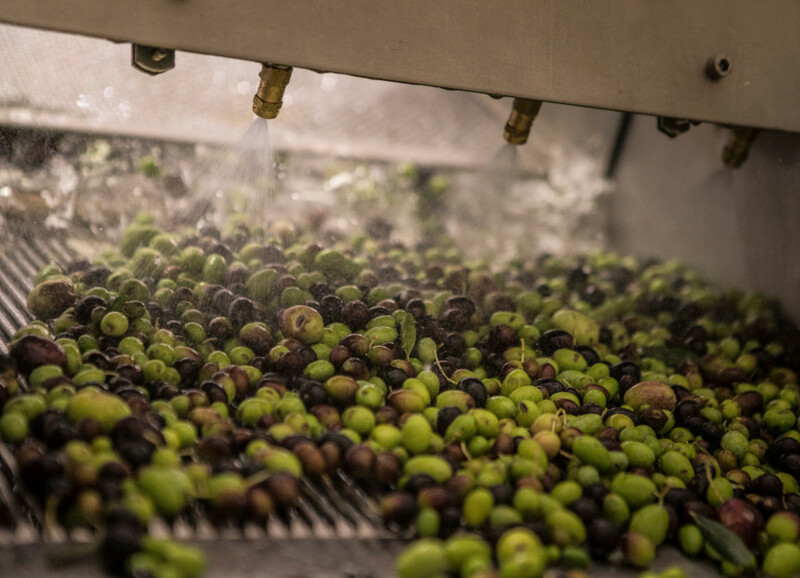 The OIL MILL visit at Fattoria di Maiano is a special experience to discover how the precious extra-virgin olive oil is produced. 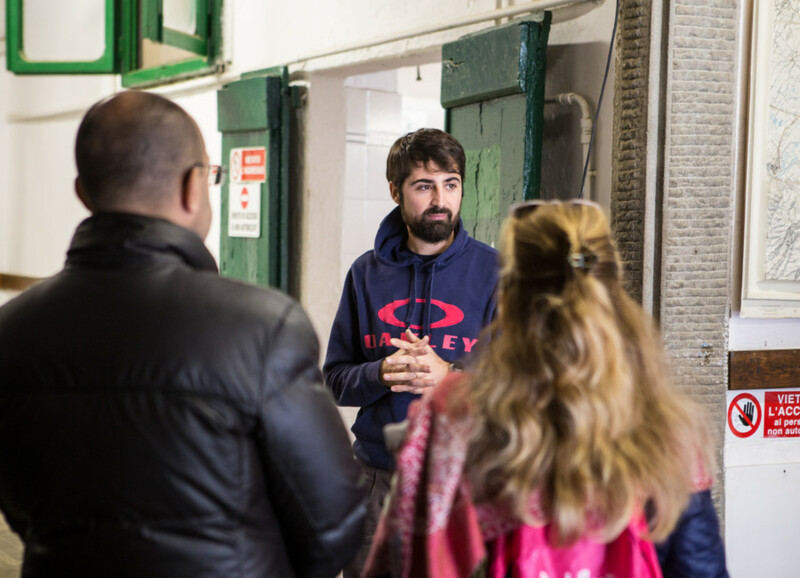 Through a guided tour around the mill activities you can immerse yourself in the ancient traditions of harvesting and pressing. 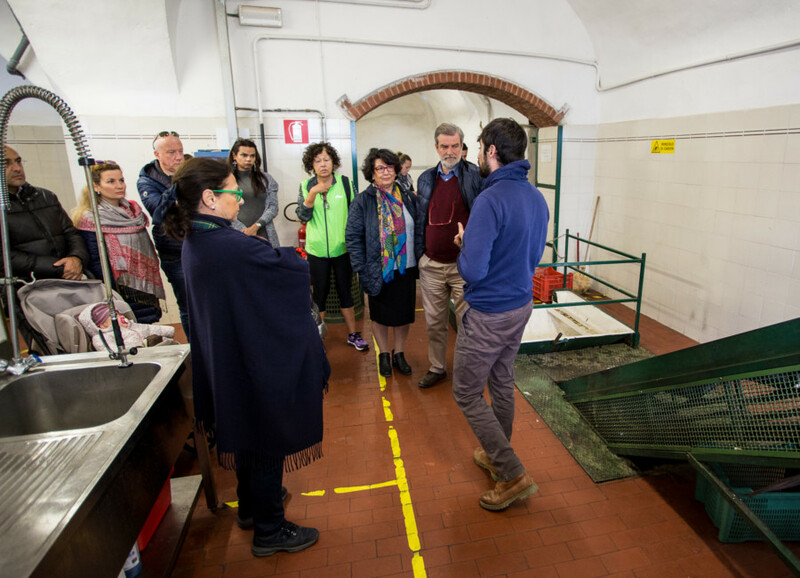 A fascinating and instructive itinerary that goes through all the phases of the process and illustrates every step. 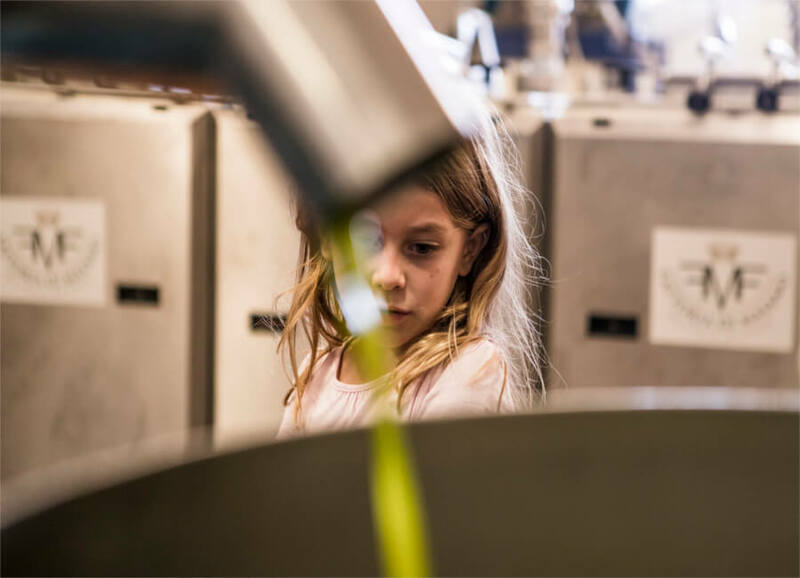 An original and engaging journey for the little ones to learn and appreciate the fruits of nature and the passion it takes to treat them, and also an opportunity for adults to spend a different day full of taste and local culture recovery . 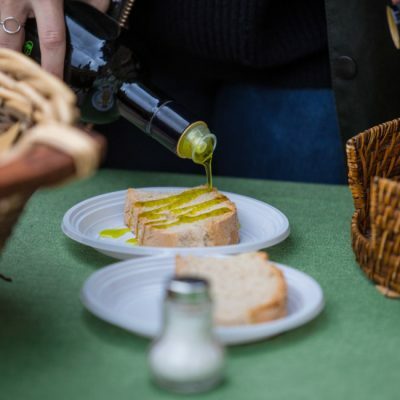 But also a way to experience the genuineness of farm products and Laudemio oil, that can be purchased at the Restaurant. 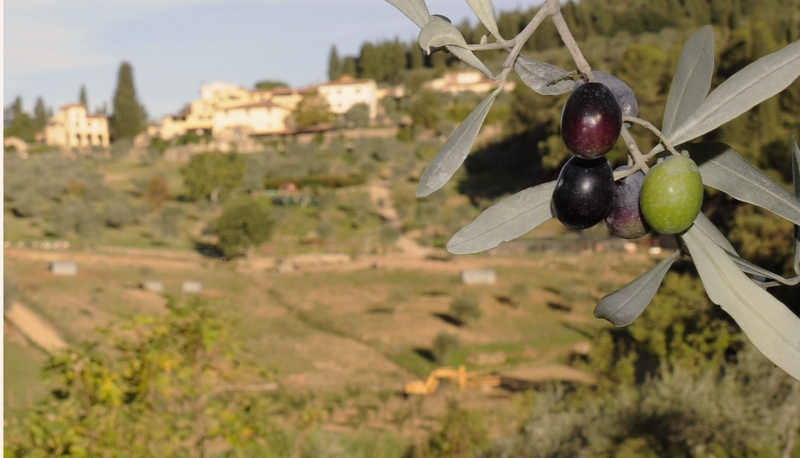 At Fattoria di Maiano olive trees draw the landscape with their small leaves and shiny fruits. 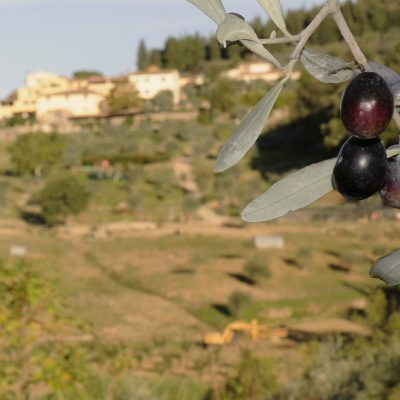 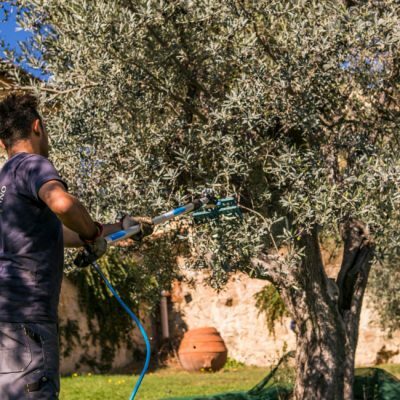 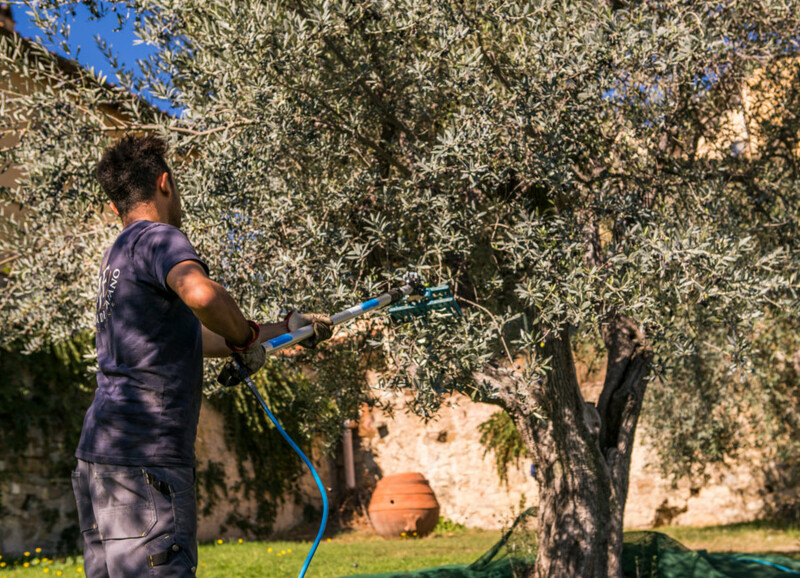 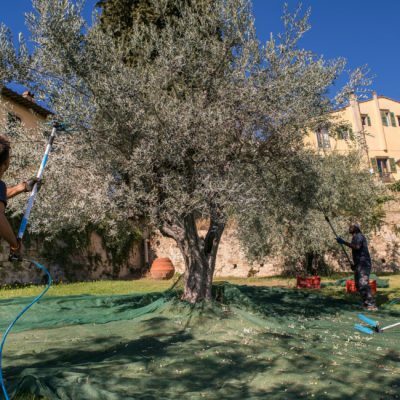 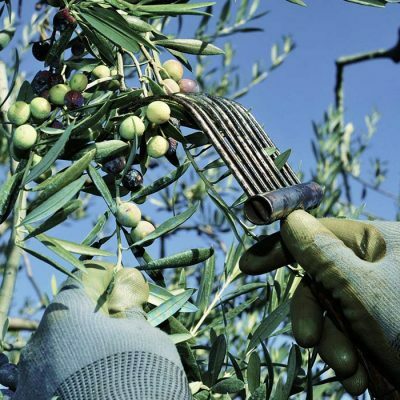 20,000 olive trees cover an area of 110 hectares, about a third of the entire farm dimension. 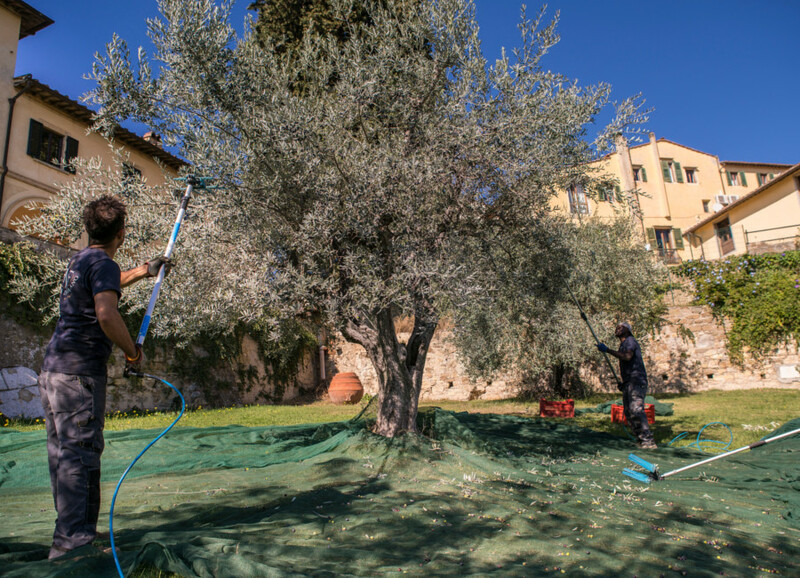 The olive grove visit is already a show in itself, especially during harvesting and pressing season. 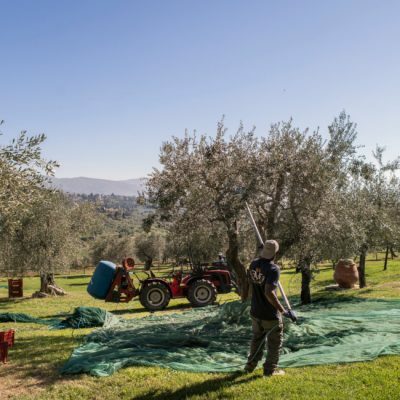 In autumn, the preparations for the harvest enliven the farm, with the zeal that activities for nature require. 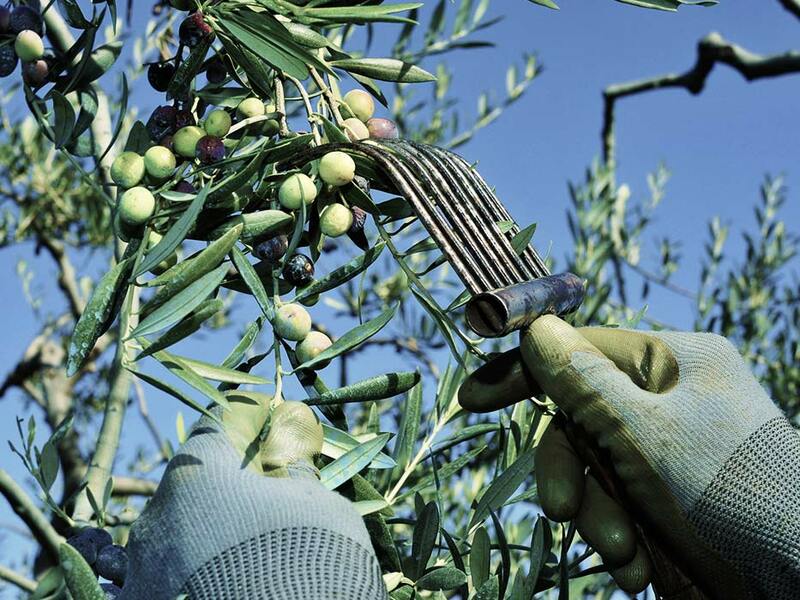 The real harvest takes place in November and December. 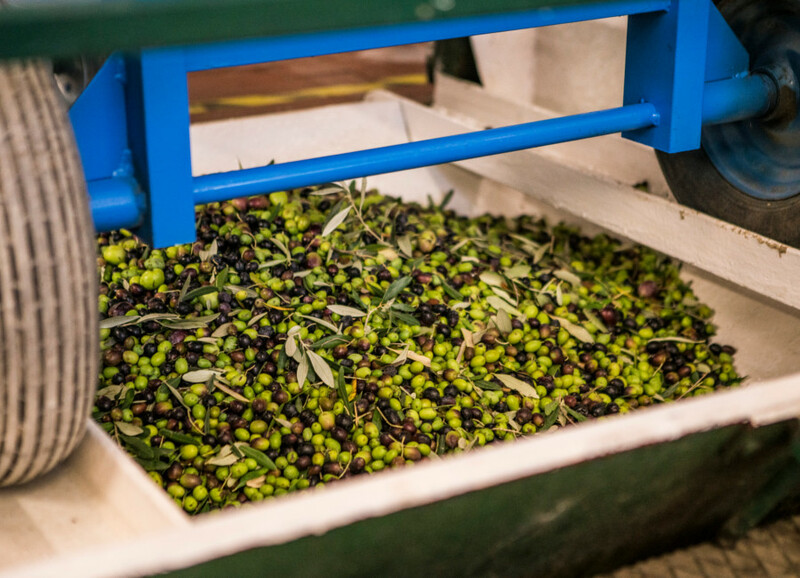 A scrupulously hand-made process, according to ancient tradition. 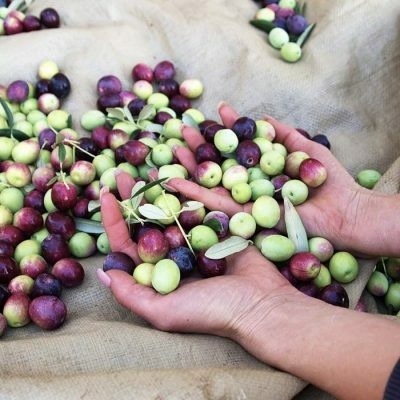 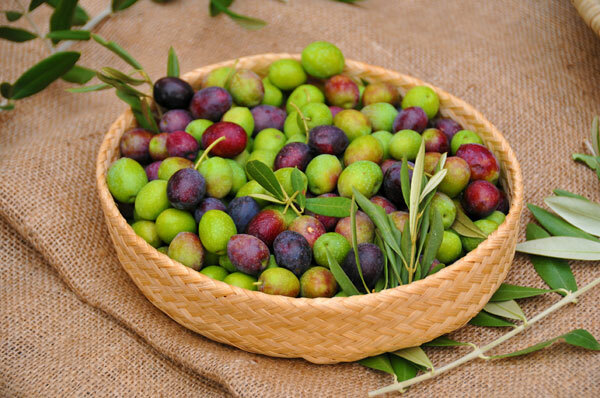 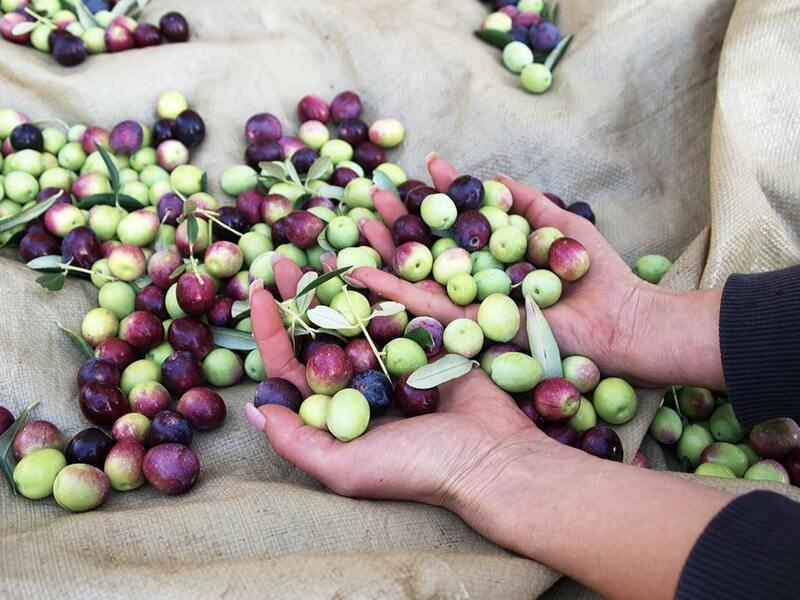 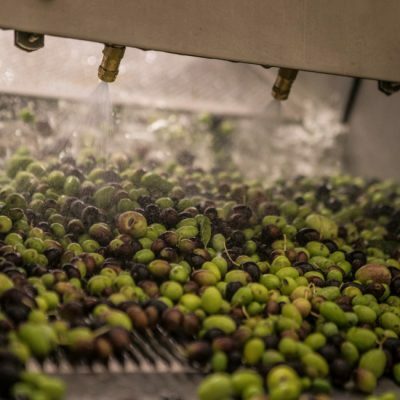 This is the only way for oil to preserve the precious properties of the olive fruits. 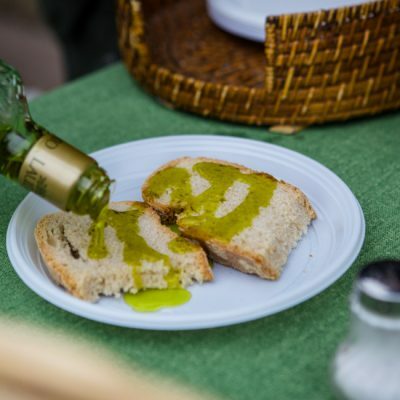 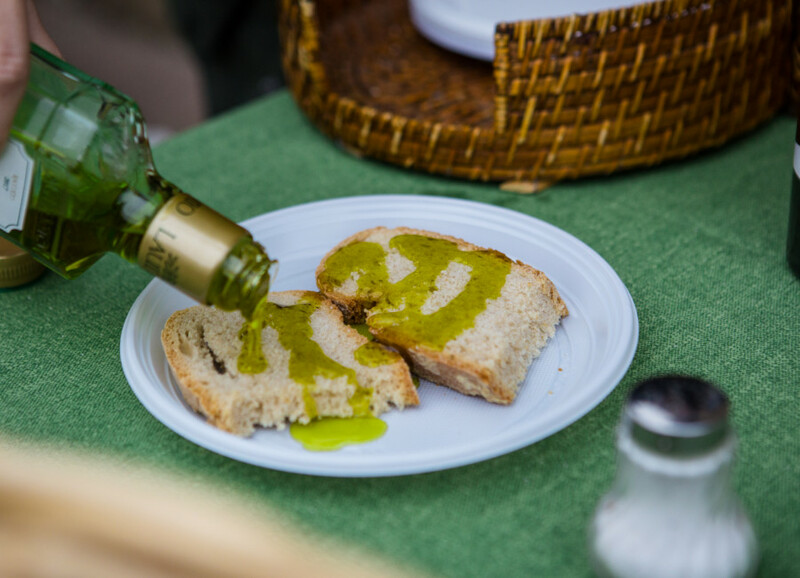 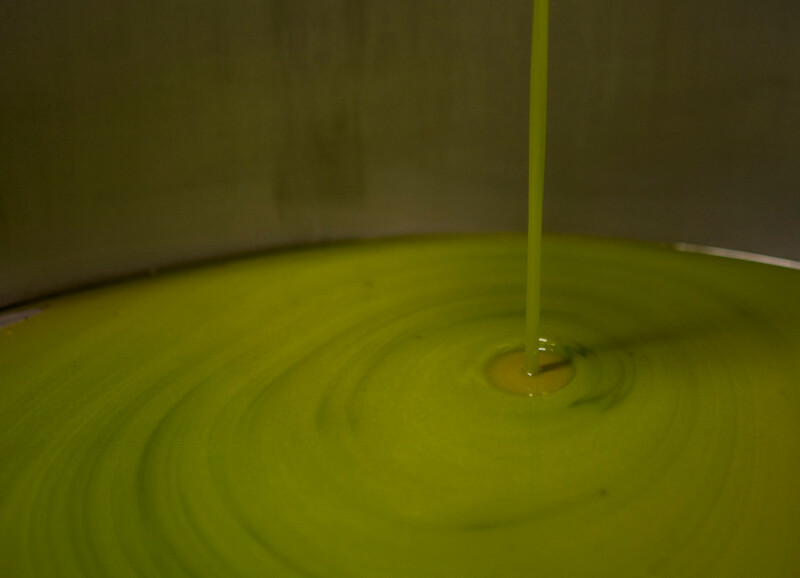 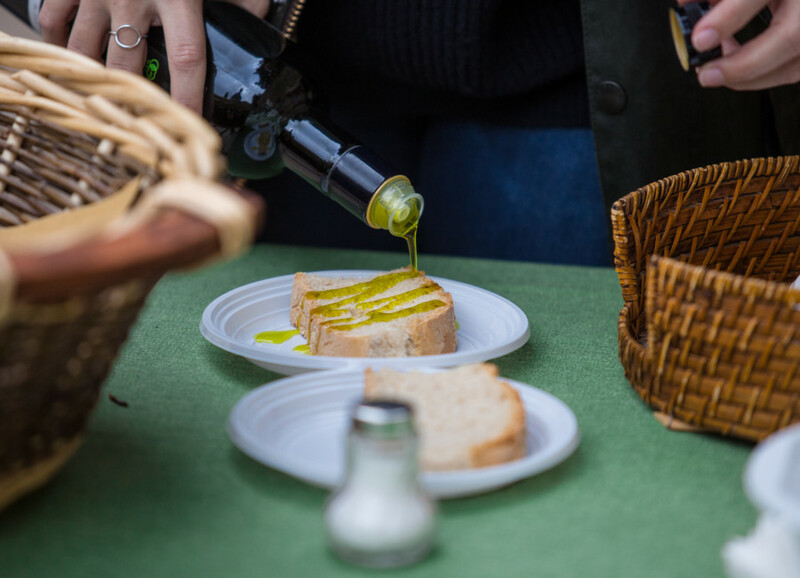 Laudemio oil produced at Fattoria di Maiano is in fact a very pure extra virgin olive oil, exclusively cold extracted from 100% Italian olives. 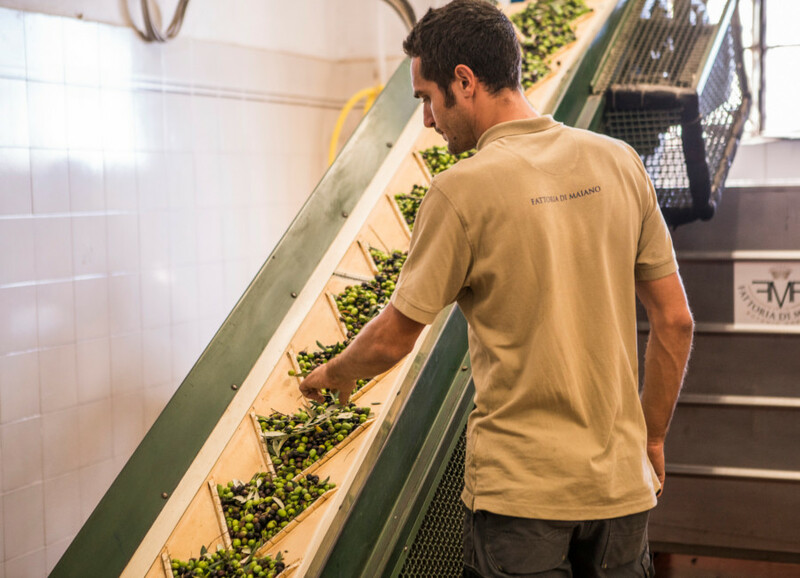 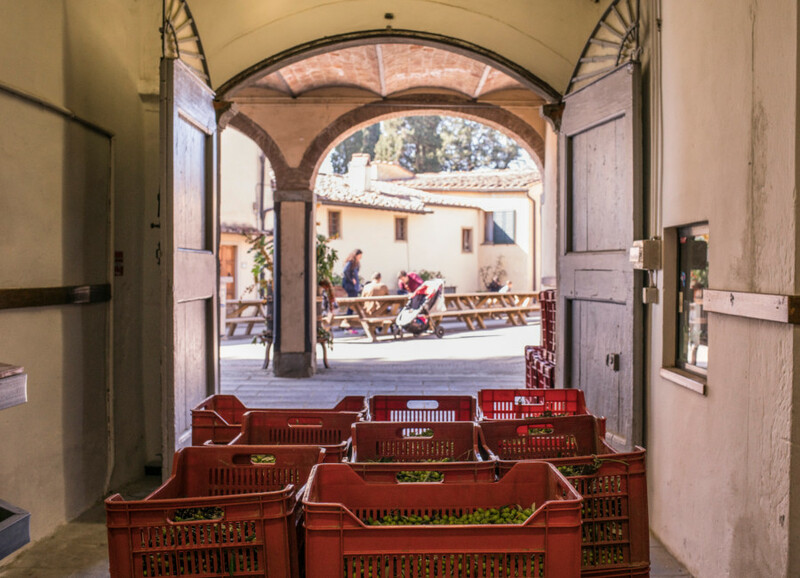 Its history is intimately linked to respect for territory and natural processes, together with a rigorous quality control. 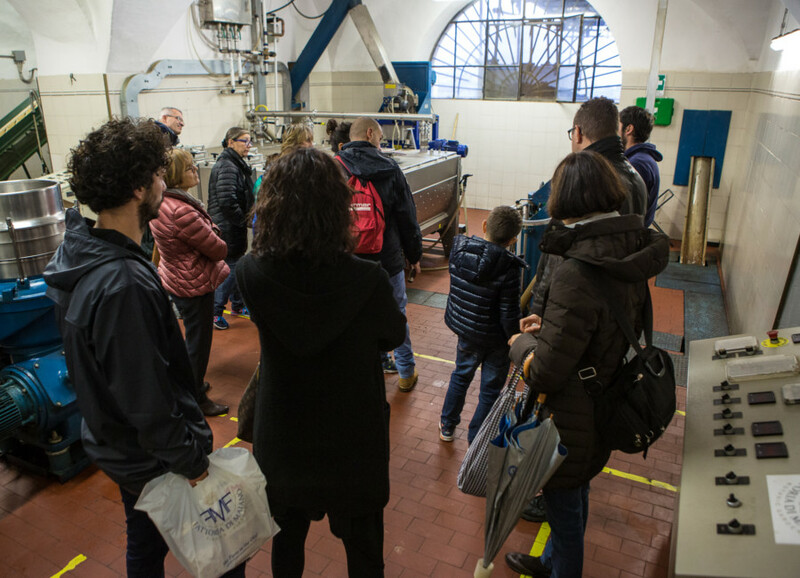 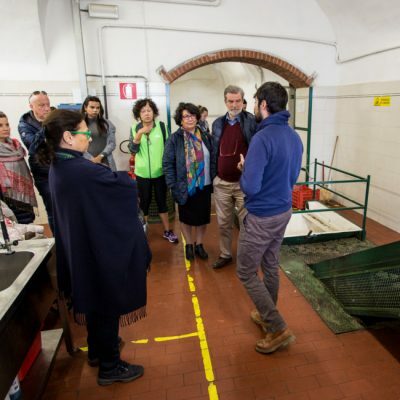 During the oil mill guided tour you will be able to observe all processing stages, in a combination between ancient rituals and new technologies. 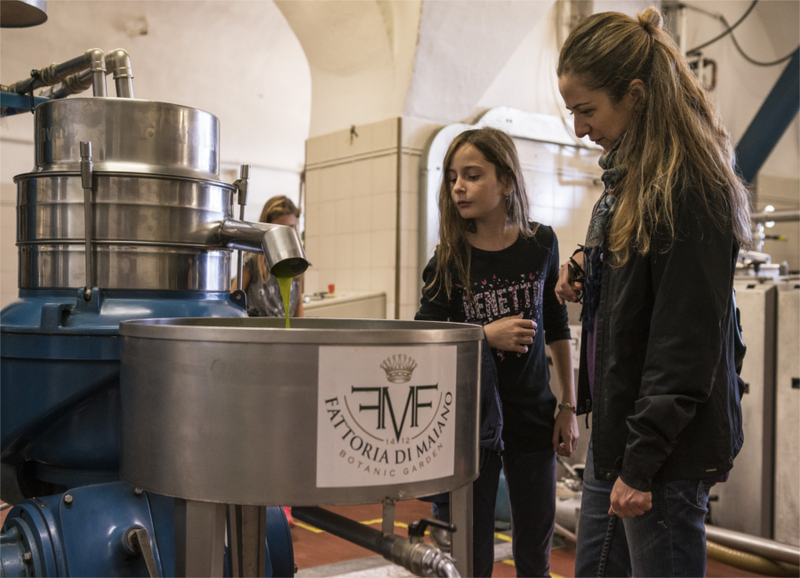 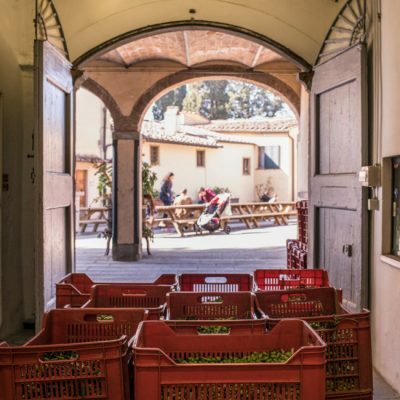 Fattoria di Maiano organizes educational tours for children of all schools. 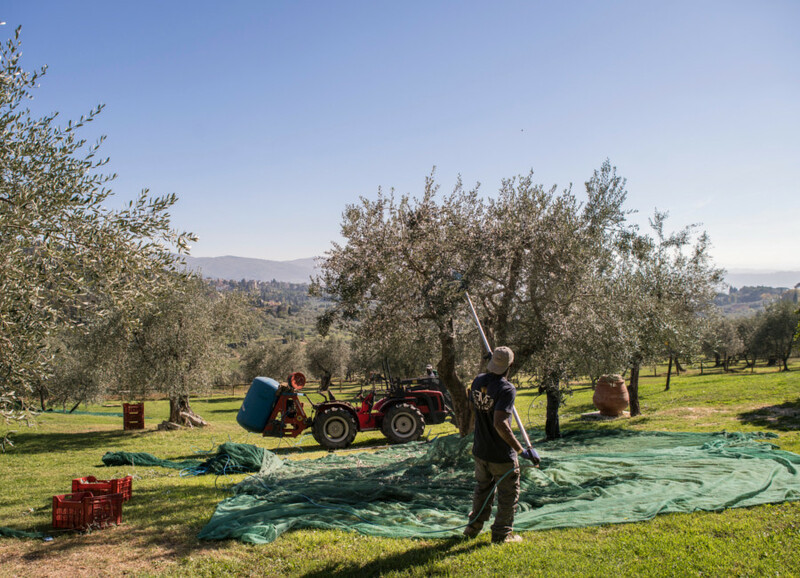 In addition to observing farm activities, children can take part to harvesting and follow the process very closely. 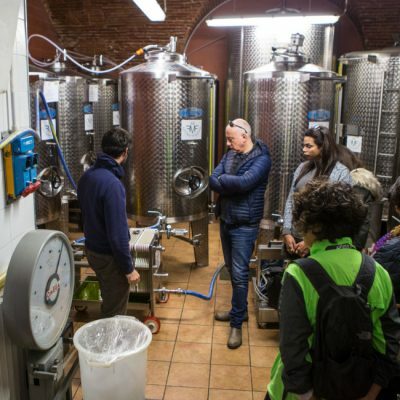 At the end of the tour, they will receive a bottle of new oil to taste at home or at the farm. 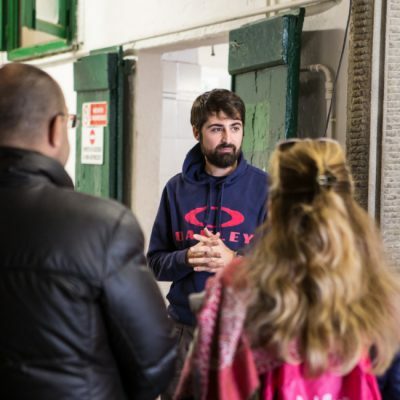 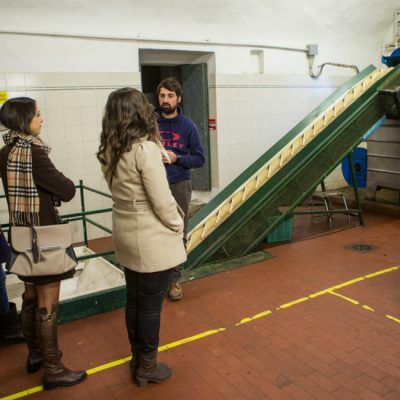 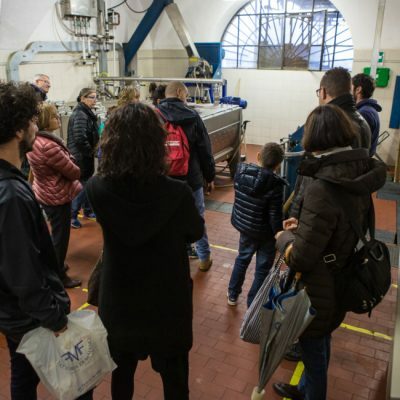 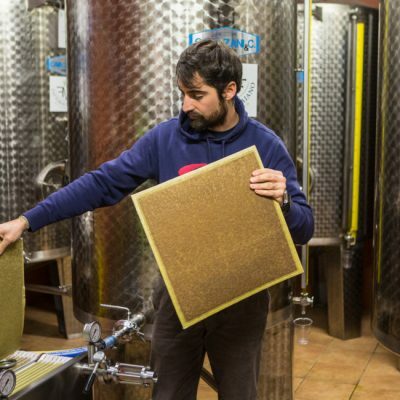 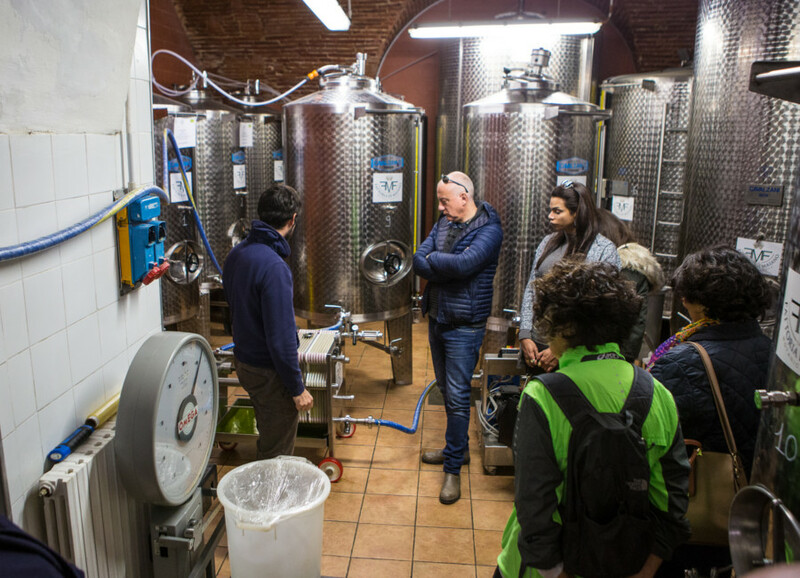 Even adults can book a guided tour of the oil mill with final tasting, to savour the unique taste of Laudemio oil. 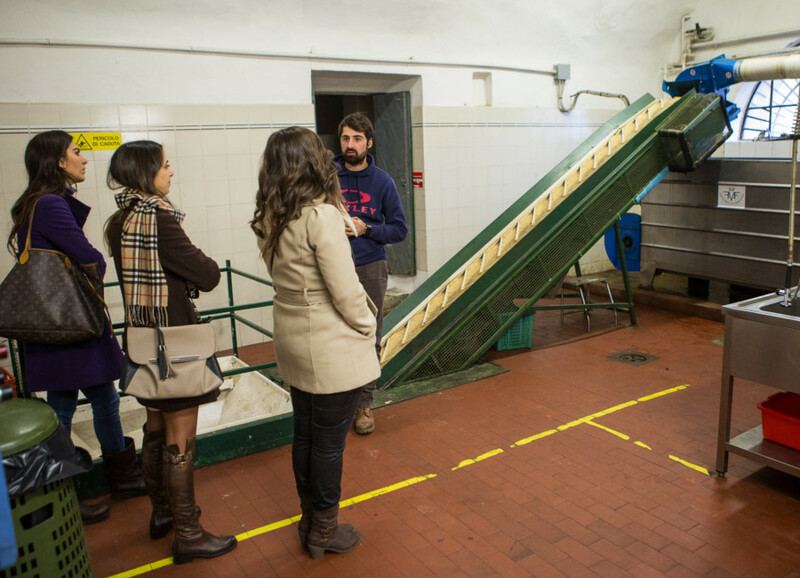 Contact us for any information about seasons and pressing process to book your guided tour.